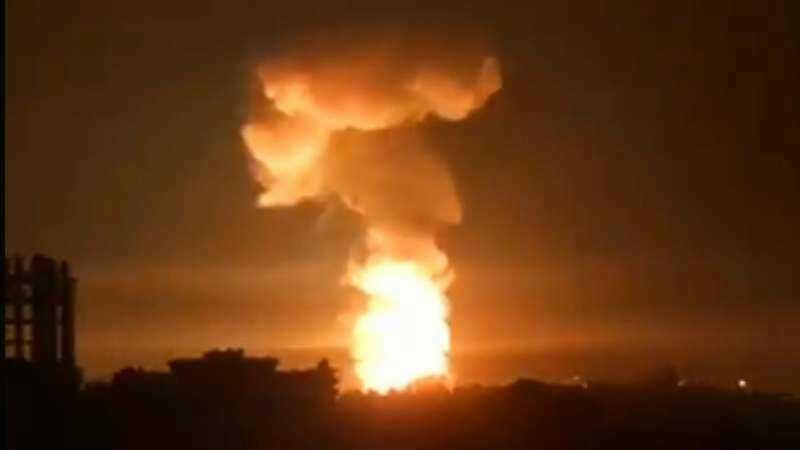 Israel’s warplanes have attacked again inside Syria, hitting a key military base in the northwest, according to Assad regime media. The outlets said the Israelis targeted the base near Masyaf in Hama Province. The site hosts Iranian and Iranian-led forces and is connected to the regime’s chemical weapons program. The Israelis struck Masyaf in September 2017. In April 2018, after the regime’s chlorine attacks on Douma near Damascus, Masyaf was one of three chemical-connected complexes hit by US, French, and British missiles. Last August the head of the chemical program of Masyaf’s Syrian Scientific Research Centre was killed by a car bomb. Regime news agency SANA said the Israeli air force fired missiles from Lebanese airspace overnight, destroying several buildings and injuring three people. As usual, regime outlets insisted that Israeli missiles were downed by anti-aircraft defenses. The strike may also have targeted the advanced S-300 anti-aircraft missile systems that Russia finally delivered to the regime last September, following Israeli attacks in which regime defenses accidentally downed a Russian intelligence plane and killed 15 personnel. In February, an Israeli satellite imagery company said the S-300 system was “probably operational” in Masyaf, with three of four launchers in a raised position. The Israel Defense Forces have threatened to destroy the S-300 system if it is ever used against Israeli warplanes. Israel has carried out hundreds of airstrikes against Assad regime, Iranian, and Hezbollah targets during Syria’s eight-year conflict. The attacks initially focused on Iranian transfers of weapons and missiles to Hezbollah and on the movement of Iranian and Hezbollah personnel to southwest Syria near the Israeli-occupied Golan Heights. In the past year, with Prime Minister Benjamin Netanyahu demanding Iranian military withdrawal from Syria, Israel expanded the raids to targets Assad regime bases with Iranian personnel throughout the country. The attacks were paused after a Russian surveillance plane was downed in September by an Assad regime air defense missile during Israeli strikes on western Syria. However, they resumed in December. In January, Israel fired missiles on Iran’s Kisweh base on Damascus, a warehouse at Damascus International Airport, and Iranian targets across southern Syria. And on March 27, the Israelis attacked a base with Iranian personnel near Aleppo.